Former Deputy Minister of Communications, Felix Ofosu Kwakye, has alleged that the National Cathedral intended to be constructed with support from government will cost about $100m. Speaking on Citi TV’s Breakfast Daily show on Tuesday, Mr. Ofosu-Kwakye chided government for the decision to build the Cathedral by going ahead to promise a seed money for its construction. “That National Cathedral I hear is costing the state around $100m that can put up an ultramodern district hospital that can render health services to tens of thousands of people. When John Mahama was President and he had money, he built hospitals, he built schools, he could have also built a cathedral” he said. When asked by host of the show, Dziffa Akua Ametam his source for the amount he quoted, he said he had read it in several news stories. He however challenged government to state the right amount if they dispute the amount he has stated. 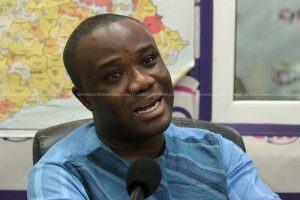 Mr. Ofosu Kwakye also accused President Nana Akufo-Addo of deliberately appealing to the emotions of Christians and other people he describes as “religious fundamentalists” for votes, with the construction of the National Cathedral. According to him, the decision to build the national cathedral is a waste of resources, as the funds to be provided by government could be used in improving the infrastructural deficit of the country. He explained that there are some already existing churches in the country with huge sitting capacities to cater for whatever event government intends to host. The Finance Minister Ken Ofori-Atta, whiles delivering the 2019 budget statement in Parliament last week, disclosed that government is among other things providing the seed capital for the construction. He however failed to mention how much government will commit as seed money to the project. “This National Cathedral partnership framework operationalizes, and indeed is a practical expression, of the social partnership envisaged to foster participatory development of the country as our collective goal,” he added. Mr. Ken Ofori-Atta also during the 2019 budget presentation revealed that Government also intends to hold a fundraiser to enable it accumulate more money for the construction of the National Cathedral. The move, according to government is to take away any toll the project will have on the country’s finances. The fundraisers will be organized in Ghana and the United States of America in December 2018 and February 2019 respectively. “The President is determined that the building of the National Cathedral would not put undue financial burdens on the state. He has therefore proposed a partnership between the State and the Ghanaian Christian community both at home and in the Diaspora”. “The formal launch of this national fundraising campaign is slated for December 28, 2018 in Ghana, and February 2019 in the United States, he stated. The post ‘National Cathedral to cost Gov’t $100m’ – Ofosu Kwakye claims appeared first on Citi Newsroom.